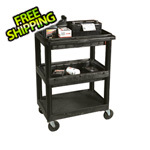 The Luxor 3-Shelf General Purpose Utility Cart, Model MTC30DLN (Black) features middle and top tub shelves as well as one flat-bottomed shelf. 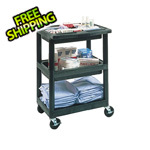 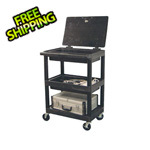 This cart has 6 removable tray dividers which can be arranged in numerous positions for increased flexibility. 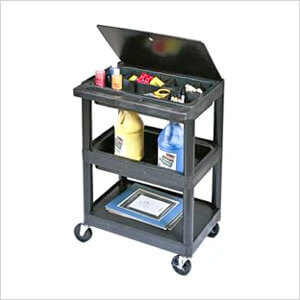 In addition, there is an unhinged plastic lid on the top shelf.